A control arm is a bar that has a pivot at both ends. 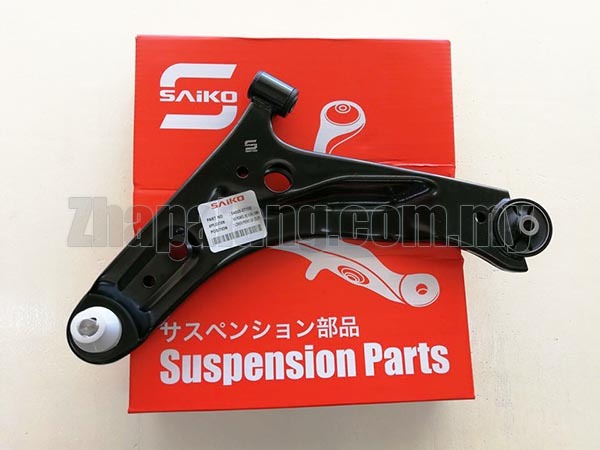 Your car has several, including the upper control arm and the lower control arm, which are arranged to form the letter A. Control arms are part of the suspension system. They attach suspension members to the chassis and manage the motion of the wheels so that it synchronizes with that of the body of the car. They work with bushings, which are cylindrical linings that reduce friction and restrain the auto parts from going every which way. As a result, you are able to go on joy rides without feeling sick and dizzy, as there is control and smoothness in the movement of the car. The two bottom points of the control arms that form the letter A are attached to the frame of the vehicle while the top point is attached to the spindle. Three or four control arms are placed between the rear axle housing and the frame if you have coil springs in both the front and rear suspensions. Like other body parts, the control arms should also be lubricated at every oil inspection. Handling and steering could become erratic if the control arms are malfunctioning and the unsteady movements of your car could take away your riding comfort.